This whole story reads like a Shakespearian tragedy, with two branches of the same family feuding, but instead of a family it’s Nissan dealerships and instead of duels to the death its keying cars and instead of being set in Verona or wherever it’s in Orilla, a town about two hours from Toronto, Canada. 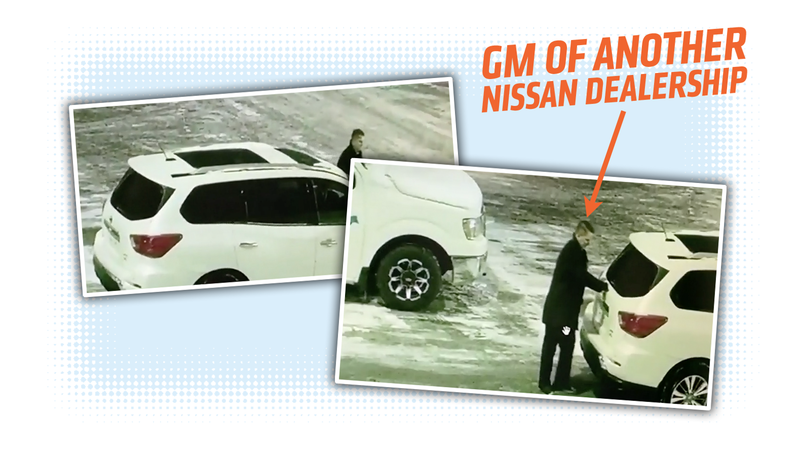 In this town, the general manager of one Nissan dealership was caught keying multiple cars at another Nissan dealership. When will this senseless dealership-on-dealership violence end?